Reduce risks and exposures inherent in a labor dispute. Get a dedicated singular point of contact, with direct access to our executive team at all times. All administrative logistics of MADI's replacement workforce are taken care so you don't have to. 24/7 Management Oversight reduces unnecessary interactions and maximizes productivty. During such critical time, having a temporary workforce that is optimized for labor disputes will assure protection to your facility and personnel, as any infractions, however small or innocent, can be very costly and drag on for years in the courts. Manage their own hotel accommodations and transportation to and from your work site. Pass through the picket line on their own to start and leave their shift. Are allowed to consume any alcohol after their shift. Are in public and exposed to violent acts or harrassment. To reduce exposure and optimize operations, our experienced Project Managers and Supervisors oversee your MADI temporary workforce at all times. Ensure we meet your production requirements. Ensure all personnel appear as a group on time for their scheduled shift. Minimize unwanted contact with the media, union personnel and sympathizers. Ensure compliance with MADI’s work rules. Conform to MADI's zero tolerance alcohol and drug policy; 24/7. NOTE: All of our employees are subject to random drug and alcohol testing. 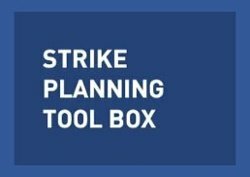 With MADI Strike Replacement Workers on the job, you will remain operational in the event of a strike, with complete peace of mind when it comes to logistics. We deploy temporary workers, all of whom are paid under MADI’s payroll and covered by our insurance benefits and Workers Compensation. All temporary replacement workers are closely supervised by our team of Project Managers and Supervisors who have decades of experience in labor dispute management. Facing an Expiring Collective Barganing Agreement? Remote Analysis: This is a free service where we walk through your potential staffing and security needs, and conduct a Site Review using satellite imagery via teleconfernece. Business Continuity Plan: When planning is needed or reqired, MADI's experts conduct an on-site analysis of your operations and staffing to identify Gaps and present optimized recommendations that will mantain operations and provide protection during a strike. Standby Workforce: In-house recruiters develop pools of standby personnel, often at 2:1 levels, to compensate for "churn" and ensure your personnel requirments can be met within 24 to 72 hours. Pre-Deployed Workforce: For companies that simply cannot afford any downtime due to a strike, MADI can pre-deploy a full or partial team of operations and/or security personnel who can be on the job instantly. when you partner with a team of reliable professionals ready to assist in the event of a work stoppage. MADI's reputation is built upon our ability to consistently provide Business Continuity Services that place the right strike replacement workers in the right jobs, within 24-48 hours when readiness option is chosen. The result of teaming with MADI for your strike replacement worker needs will be the successful continuation of operations despite the potential threats a work stoppage poses.